Post subject: Raleigh Atlanta any iinfo? Hi folks......after having my good old Saracen half inched last week i needed another hack for work. 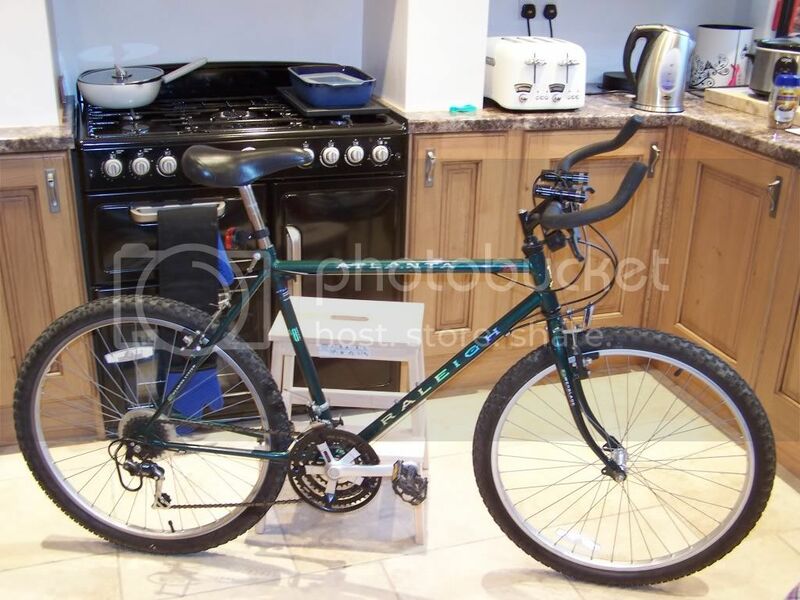 the best i could find was this Raleigh for the right money and not being a use for a week then throw away type of bike. it doesn't seem a bad bike to be fair but it is heavy and its not quite what i would have chosen if there was something better. but anyway, could anybody please tell me what year it is? i have searched the net and have not managed to find anything on it, it has a limited edition sticker on it but i am sure that means nothing. anyway as hope of finding my other bike is fading i am looking for another early 90's mountain bike ie kona or gt marin if anyone knows of one in the Derbyshire area! looks to be mid to late 90,s tbh, the chainset looks like an altus c20 and dont remember raleigh doing intergrated bar/ends much after 96 but i could be wrong.think this was below the amazon. looks in great cond if it is from 90,s. ps, what lights are they? i can remember the Amazon as there was one at work not long back. cool,are they bright enough for offroad? i use it everyday for work and i quite enjoy riding it, ive got two new bikes as well but they don't quite seem as fun do they! still hoping to get a replacement for the Saracen of similar year and type without suspension. i also noticed that there was an Atlantis on eBay today but its totally different. Great!This topic is creative，there are a lot of new idea，it gives me inspiration.I think I will also inspired by you and think about more new ideas.